Baltimore The crowd that gathered in the teachers’ union meeting hall in Towson, Maryland was old and young, current and former organizers with unions, ACORN, activist and well-traveled others, so watching “The Organizer” for them was in many parts a good spirited time with laughs and wisecracks at all the right moments. The post-screening questions were a different and more sober and subdued affair. These were veterans, hard cases who had been to the rodeo and had the scraps, scars, and broken bones to show for it. They were worried about the arc of contemporary politics and the current organizational capacity on the ground and in the workplaces to meet it face to face. The questions weren’t pattycake. Was this a time of movement? What had I learned that would protect other organizations from attack in the future? How did I see 2020? Larry Ginsburg, old comrade and friend from Local 100, ACORN, SEIU, and now the Teachers Association of Baltimore County (TABCO) who I had dragooned into organizing this event after he made the mistake a year ago of saying that he wanted to see the movie in the area, asked one of the closing questions about climate change. Starting from the premise that climate was one of the dominant issues of our time and affected not only our legacy as organizers, but the future of our own children and future generations, Larry wanted to know what were our organizations doing to meet this challenge? It’s an important question, and Larry is right to put it on the table. In the same way we have to answer as organizers and, frankly, as people where did we stand and what did we do to help achieve civil rights or oppose war or bring justice to women and others, our work and lives may be also judged on what we did to try to meet the challenge of climate devastation. My answer was less adequate now, than I hope it is in a year or two. I responded that we were probing and pushing more environmental issues for consideration of our members for action and campaigns, especially about water. At one level we were fighting over the quality of water. Our union had led the fight to get water and fountains tested and replaced in schools in Houston and other cities where we worked. Our affiliates had focused on the impact of lead in deteriorating water pipes in other areas. 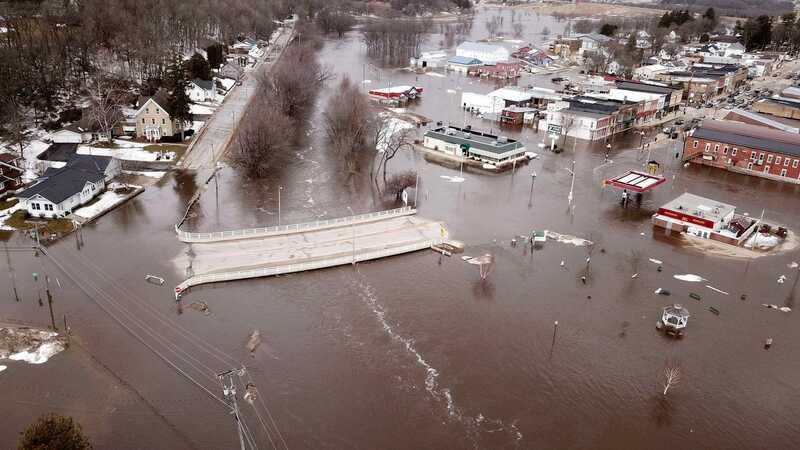 Water in general has focused a lot of work. In places like New Orleans where climate is a constant concern post-Katrina, ACORN’s affiliate, A Community Voice, is organizing around the creation of bioswales in some vacant lots to mitigate future flooding and of course the campaigning around levee and other flooding barriers is a constant endeavor. Climate and our response had been an issue for discussion in our North American Year End Meeting as well as our recent meetings of our European and other organizers. We don’t think we have found the handles and developed the campaign infrastructure that addresses climate change as the first level threat that concerns organizers like Larry. We’re debating among ourselves, and we’re searching, but we haven’t found the right mix of issues and targets that allows our members to feel that this issue is truly theirs and at the core of their lives with the same immediacy and effectiveness that others issues have. We don’t believe we’re engaging this eye to eye at the level it demands. We’re searching for a way to have this campaign move our members deeply and trigger action. We’d love to buy a clue, so if others are ahead of us, point the way for us to follow. We’re happy not to lead, but we want to offer our members at every level a way they can find a place in the fight. Run the Government? Who Cares? Zurich The list seems endless. The US government’s own scientists warn of catastrophic climate changes, but the administration tut-tuts their reports, preferring ideology to evidence. There is bipartisan outrage at the likely killing of a Washington Post columnist who was a dissident exile from Saudi Arabia, but President Trump scoffs at canceling an arms deal with the Saudis negotiated by his son-in-law and still under-subscribed. Rather than enforce wage-and-hour violations, the Department of Labor instead offers an extension of an amnesty deal with little enforcement. The Commerce Secretary is caught on stock deals and fibbing on his confirmation hearing about asking questions about immigration on the census run by his department. The Secretary of the Entergy Department and former governor of Texas has to admit that when he advocated shutting the department down, he had no idea what it did, but is now game to run it. The Secretary of Education seems to have never been to a public school and pretty much advocates getting rid of them. 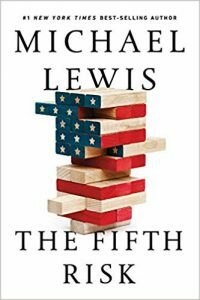 You get the message, and if you don’t, reading Michael Lewis’ new book, The Fifth Risk, on the early days of the Trump administration transition to begin running the government will be a wakeup call. The stories Lewis garnered are harrowing. Trump didn’t want to even pay for transition preparation or begin any transition work until he was told it was required by law, and really not even then, until Stephen Bannon got his attention by noting how he would be embarrassed on the “Morning Joe” show. When he won the presidency, not only did he get rid of former New Jersey governor Chris Christi who was heading it, but pretty much the whole crew involved in any preparations. Lewis focuses on the Energy Department as one example because so much of its budget has to do with protection of the country’s nuclear capacity and electricity grid, seemingly pretty nonpartisan, but critical work that can only be done by a government. The same could be said of the USDA and its farm friendly bureaucracy. No matter. Who cares? Agency career staff complied a score of critical briefing books so that the incoming administration, regardless of who might have won, would understand how things worked so that they could move forward smoothly, even if they wanted to make big changes. In case after case, the new administration was simply a no show. When they did show there were few meetings that were little more than perfunctory, and their main objective seemed to have been witch hunting for political opponents in the bureaucracy. The fifth risk in the title of Lewis’ book really has to do with project management, the ability to make the train run at least in the right direction even if not on time. No matter how much the Trump administration politics is worrisome, reading Lewis’ book forces the realization that there may be no one really running the store in the government of one of the largest and richest countries in the world. It’s not who’s on first and what’s on second, it’s no one may be on any base, and, worse, they may not even understand the game. Please enjoy Vote em out by Willie Nelson.